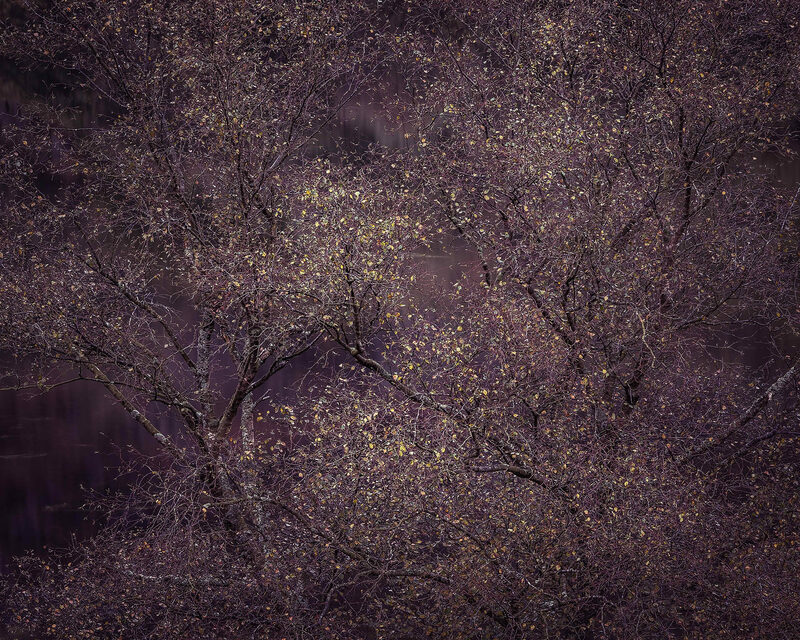 The winner of the International Garden Photographer of the Year - Competition 10 - is Lee Acaster with 'Left'. "This humble autumn scene has been elevated into something challenging and truly spectacular. The dark inky mauve of the lake creates the perfect canvas on which these beautiful birch trees bear their last hints of autumn colour, which glow on a centrally focused plane of light. The scene has been framed beautifully and feels completely balanced even with so much to look at. Each branch, twig and leaf has incredibly defined detail which exhorts us to stare deeper and deeper into the image. When we do, the photograph reveals a stained glass window of nature, steeped in mystery and metaphor."